At the second annual meeting of the NOU, Dr. Robert H. Wolcott, one of our founders, presented a paper titled "On Migration Records and On Our Nebraska Records" (Proc. NOU 2:69, 1901), which included a plea for better documentation. He said, in part, "These problems must be met and answered in a spirit of scientific accuracy, if our conclusions are to carry weight with those living outside our borders. We must know what we know and record only what we know we know. We must be open at all times to conviction, but at the same time we must subject every fact presented to the most thorough criticism. As a society we must judge kindly, but most critically with the records presented by our members for our consideration." At that time, documentation meant a shotgun and stuffed specimens. Since that time, fewer and fewer birds have been killed expressly for documentation, the study skins having been largely replaced for documentation purposes by photographs, tape recordings, and written records. The amount of time required for documentation has changed little, however. Indeed, it frequently takes longer to obtain adequate photographs than it would take a practiced museum worker to shoot and prepare a specimen. Another thing that has not changed is the absolute necessity of providing a record that will be available for study by future researchers when some question arises. This record may be a study skin, photo, recording, or a written documentation. Each type of record has its strong points and its drawbacks, and none by itself is perfect for all cases. It must be remembered that none of them are of any value without complete supporting data whose veracity is beyond doubt. Keeping accurate records and making reports available in the scientific literature are two of the criteria which separate ornithologists from casual birdwatchers. With a bit of practice and guidance almost anyone can provide adequate documentation, but it does require some time and self-discipline. The first step, the decision to do so, is the biggest one; it gets progressively easier as you go along. Who should provide a documentation? Anyone who sees a bird that is not where it should be when it should be. This applies to everyone, amateur and professional alike. One of our most noteworthy ornithologists, Prof. Lawrence Bruner, reported a Magnificent Frigatebird along the Elkhorn River near West Point, in the spring of 1884, but provided no supporting details that give a clue as to whether he was correct in his identification. His report is intriguing, but its validity must remain at least somewhat questionable because there is simply nothing available to support it. His word, even as an eminent authority, is simply not adequate. Neither is anyone else's. It is not that his veracity or ability is questioned; it is simply that he did not provide us enough information. As a result, a "once-in-a- lifetime" record leaves us wondering, and we'll never be sure beyond a reasonable doubt, just what he saw. In the century since that time, no one else has reported a Magnificent Frigatebird in Nebraska. I order to better understand the timing and distribution patterns of the birds of Nebraska, the NOU Records Committee is asking that a docmentation be submitted with every reported sighting of birds on the following list. All species on the list have been reported in the state previously. The documentation to support the occurrence of each species varies from non-existent to completely adequate. As already stated, documentation includes evidence such as written records, recordings, and photos, as well as preserved specimens. Certainly anyone who finds a dead specimen of a bird listed should make every effort to preserve it for future study. If you find such a bird and are unsure how to handle it, put it in a plastic bag, throw it in the freezer, and call the author for further instructions. This list does not include all the species that may need to be documented. Any species not previously reported in the state should be carefully documented, as should any species not listed on the current NOU Field Card. 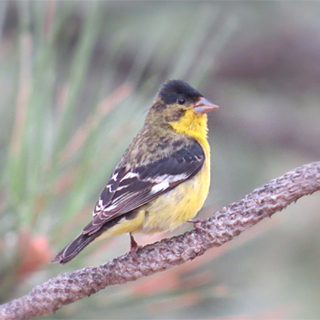 Other birds to be documented are those that may be regular in one end of the state but not at the other (e.g., Western Tanager in the east, or Summer Tanager in the west), or regular at one season but not at another (e.g., Harris' Sparrow in summer, or Swainson's Hawk in winter). As a general guideline, any bird that is out of season and/or out of range needs to be documented. Birds on the following list should be documented every time they are seen, anywhere in the state. Your experience in your area will show you which other ones need to be documented for your particular location. Documentation should be sent directly to the chairman of the Records Committee.